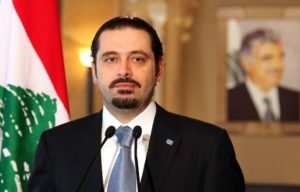 Lebanese Prime Minister Saad Hariri made a U-turn on his party’s alliance with Saudi Arabia by showing support for Iran-backed Hezbollah. After announcing a shock resignation last November from Riyadh, blaming Iran for interfering Lebanese domestic affairs, Hariri defied the Saudis by withdrawing his decision to step down in December while voicing support for government coa-lition member Hezbollah. Lebanon’s Prime Ministers, who are Sunni as required by Lebanon’s constitution, have traditionally taken the Saudi line on regional issues. But Hariri, keen to avoid becoming embroiled in the regional spat between Iran and Saudi Arabia, said that his country will maintain ties with both countries and reject foreign meddling. The resignation brought the country at the forefront of the regional proxy conflict between Saudi Arabia and rival Iran. In his interview with the WSJ, the Lebanese Prime Minister also warned Israel against taking military action against Hezbollah, saying any such war would be counterproductive. Written by: Jaber Ali on January 13, 2018. Posted by Jaber Ali on Jan 13 2018. Filed under Gulf News, Headlines, World News. You can follow any responses to this entry through the RSS 2.0. Both comments and pings are currently closed.